It’s fairly normal for babies to get showered with gifts. Parents can’t help but give their little ones everything they want, especially when they react with such glee all the time. However, few presents can compare to this one that baby Christian received completely out of the blue. It did more than just give him something to play with – it changed his life. Christian’s life was a relatively simple one, as is often the case with babies. He did whatever he wanted while his mom and dad were left to clear up after him. No matter how much he drove them up the wall, his parents loved him unconditionally. That’s why they were willing to do whatever it took to make his life better. Little did they realize that would one day involve buying him the gift to beat all gifts. Throughout Christian’s short life, the young boy has been plagued by sight problems. It’s something that affects a lot of people around the world, and thankfully there are ways to resolve the issue. However, for Christian, not being able to see anything properly was a source of great stress. He couldn’t voice his problems to the people around him, nor did he know there was any way to resolve them. Luckily, his parents were more clued in on his issues than he realized. Christian had no idea what was going on when his mom tried to put something on his face one day. He was visibly distressed by her actions and wanted her to stop, but she relented. It was a pair of glasses, but he didn’t know that. It wasn’t until they were on his face and he looked through them that he realized what had just happened. 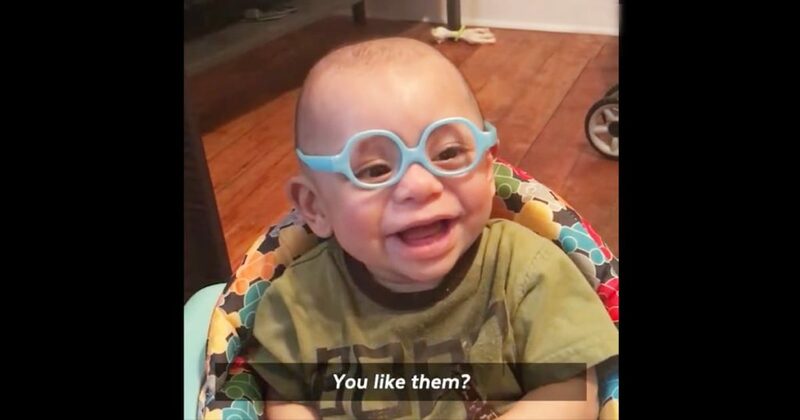 He stared up at his parents, and for the first time, he could see them properly. His reaction was priceless. Christian was in complete disbelief. With his eyes wide and mouth agape, he tried to get his head around what was going on. It all seemed too good to be true, but no-one was fooling him. He really could see properly for the first time. Realizing this, the boy burst out laughing, his face beaming with the biggest smile. 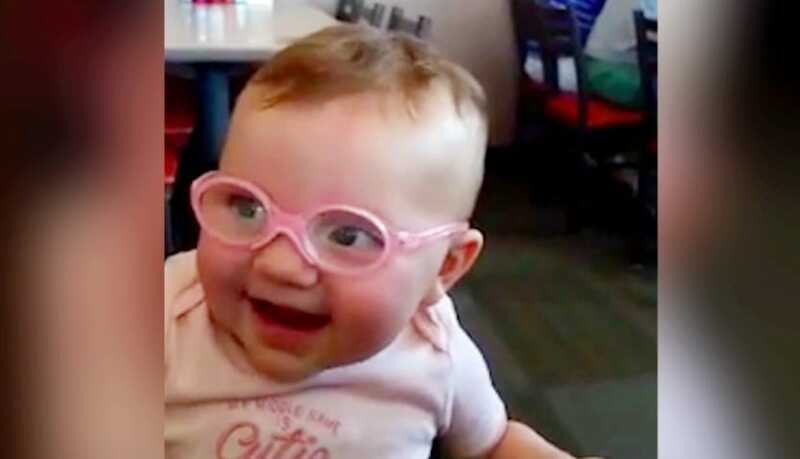 His parents kept asking if he liked his new glasses, to which the child just continued laughing and grinning as he reveled in his clear sight. This was truly life-changing. There’s no doubt that these glasses will make a massive difference to Christian’s life. He can now see his parent’s faces properly instead of being greeted by a fuzzy blur whenever they talk to him. Although his problems might require more than just glasses when he’s older, for now, they’ll do the job just fine. Let’s just hope he doesn’t break them when he plays with his toys. When it comes to gift-giving, Christian’s parents definitely come out on top. However, judging by the boy’s reaction to his glasses, it’ll be hard for them to top that present on his next birthday.